World-wide HF operators are kindly requested to QSY away from 7.060-7.063 MHz at all times due to use by Thailand hams during the massive flood emergency affecting millions of people in North and Central Thailand. Today, the emergency is on-going with huge areas flooded of from a half to two meters of water, some areas are deeper and a few spotty areas are mostly dry in the region. News estimates say that the flooding will continue for four to six more days, at its height, and subsidence will be over a month. Clean-up and rebuilding may extend more than a year. In the view of the recent Japanese earthquake and tsunami, we would like to request our ham members to observe the following request, to clear the frequencies for Japanese rescue effort. The following was received from Mr. Dave Raycroft, VA3RJ of I.C.P.O. (Islands, Castles & Portable Operations). Also, below are some important and usefull links for all. Following freq’s are assigned for emergency QSO. Please be clear. Thank you for your kind help! Ops JARL & volunteers - 3520 to 3530, 7025 to 7035, 14090 to 14110, 21190 to 21200, 28190 to 28210, 50100, 51000, 14100, 14500, 430100, 433000 kHz. DXped Ops - Please kindly consider QSX freq & RTTY freq. We pray for the safety and the well being of the Japan people in view of this disaster. Other changes may be introduced following the GAREC conference in October. Rules and lists of participating stations in the event will be available on the IARU Region 1 website. IARU R3 Disaster Communications Committee. The Chinese Radio Sports Association (CRSA) has asked that the frequencies of 7050kKHz and 7060kHz be kept clear for emergency ham radio communications following a devastating earthquake in Yu Shu district, Qinghai province. A number of radio amateurs are already active in supporting the rescue and recovery efforts including BG9UA, BG9UP and BG9UO. The emergency communication team of Anhui amateur radio society, led by Mr Du BG6CEV was flying to Qinghai today (15 April) to bring communication equipment. The earthquake measuring 7.1 on the Ritcher scale occurred on the morning of Tuesday has left 589 people dead, nearly 10,000 injured and 10,000 families needing to be resettled due to 99% of houses damaged. Yu Shu located in a plateau with temperatures fall to -5 degrees (minus five degrees) making conditions bad for those without shelter as well as hampering rescue efforts. Water, electricity and other facilities are cut. Attention to all MARES Members. 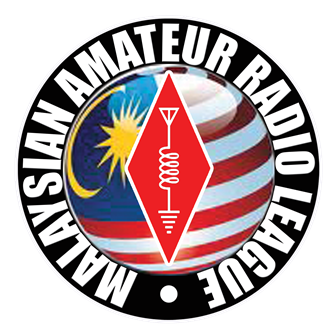 IARU Region 1 invites the HQ-Stations of all IARU member societies and stations of Emergency Communications Groups to participate in a Global Simulated Emergency Test on Saturday 18th April 2009 11.00 – 15.00 UTC (7.00pm - 11.00pm., Malaysia Time). The operation will take place on and near the emergency Centre-of-Activity (CoA) frequencies on 80, 40, 20, 17 and 15 metres (+-QRM ). MARES will be conducting the test at our Club House. All members are welcome to attend and participate in this session. increase the common interest in emergency communications. test how usable the CoA frequencies are across ITU regions. practice the relaying of messages using all modes. The exercise will build on earlier GlobalSET exercises by starting to pass messages in a format which we may have to use for the agencies we may serve. The message exchange will take longer than in previous exercises and stations will have to be patient to transmit their messages across country and language boundaries. So, please remember that this is not a contest, it is an emergency communications exercise to develop the skills we will need to provide an international emergency network. Messages may be passed on voice (SSB), Data or CW modes as detailed below. appropriate to their region +- QRM as shown below. For further details, kindly visit RayNet-HF.